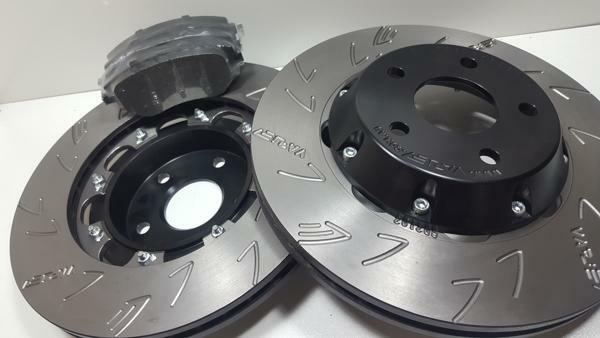 or see our GT-P options for Full Big Brake kits. 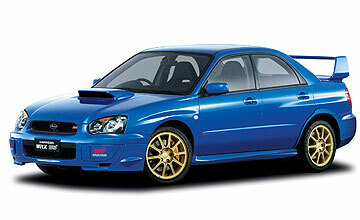 Note : STR II supplied as heat treated AT NO EXTRA COST. Choose ” No Pads Thanks ” if all you need is rotors or choose a pad compound to suit. 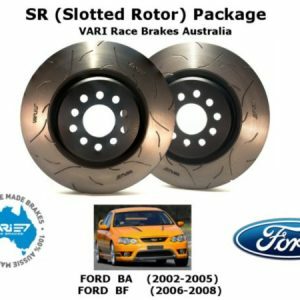 SR package is a Pair of Performance rotors for either the front /( or the rear) *, of the vehicle. 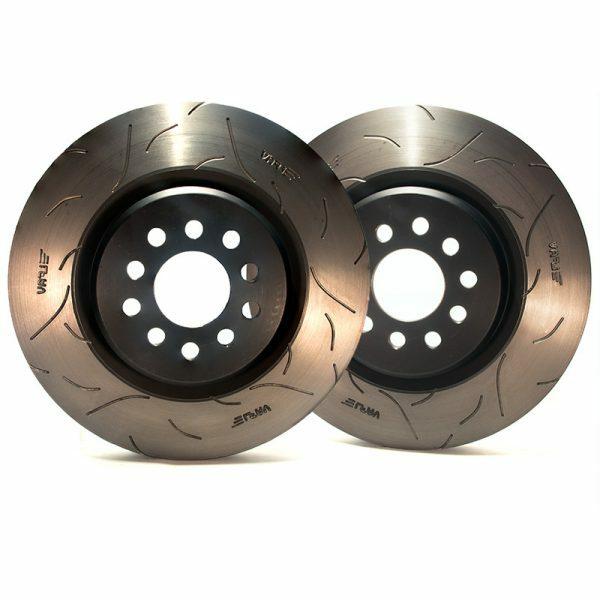 These rotors are our entry level brake package upgrade and allow our customers to take advantage of some of the features that are found in our Full Big Brake Upgrades. De-gassing and anti-glazing omnidirectional patterned slots. 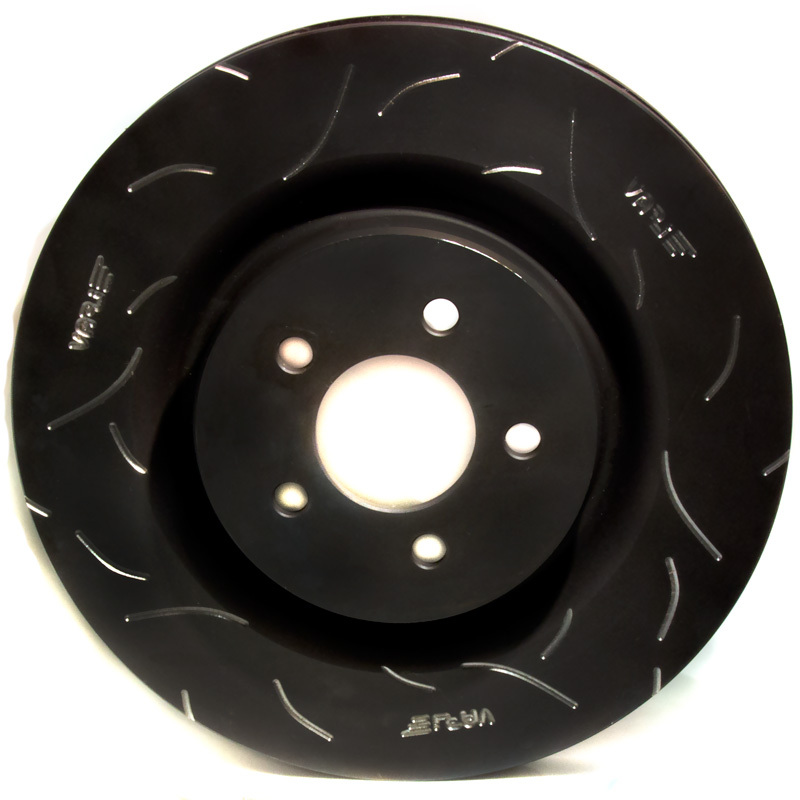 We Perform our Enhanced Slotting to reputable Australian rotors. 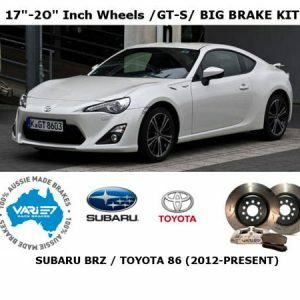 and is exactly the same treatment used on all our top end Full Big Brake Upgrade kits, and is an value add on only if you plan to punish the brakes regularly or if vehicle is used in Heavy duty applications such as large caravan / boat towing and especially if the vehicle ever sees track day type use. 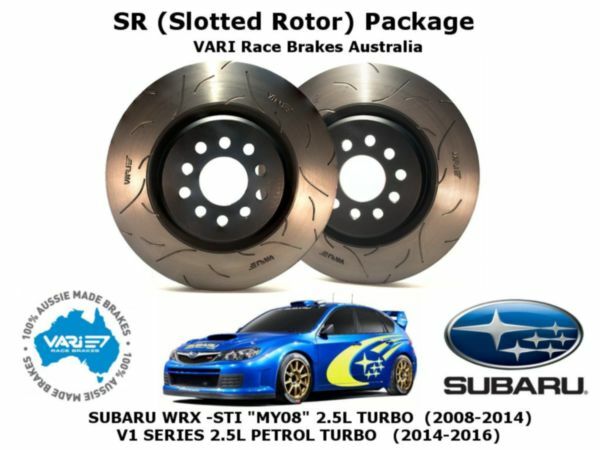 Adds the following to the above features as an optional add on to our SR rotor package. 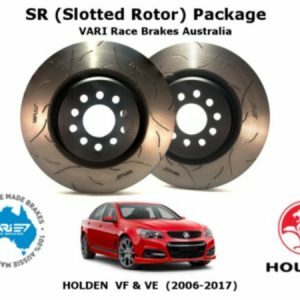 ALL STR – II ROTOR PACKAGES ARE SUPPLIED HEAT TREATED AT NO EXTRA COST !!! 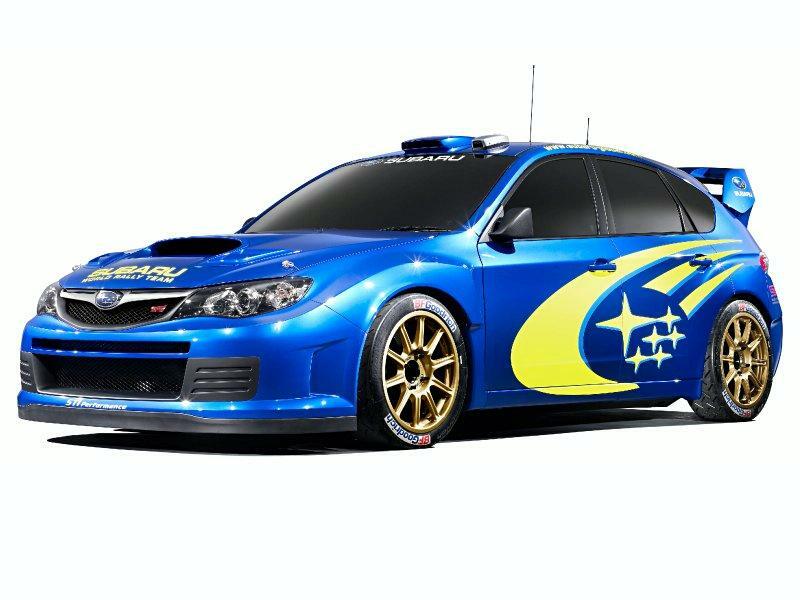 ” SP ” / “STP” Performance Pad Pack. 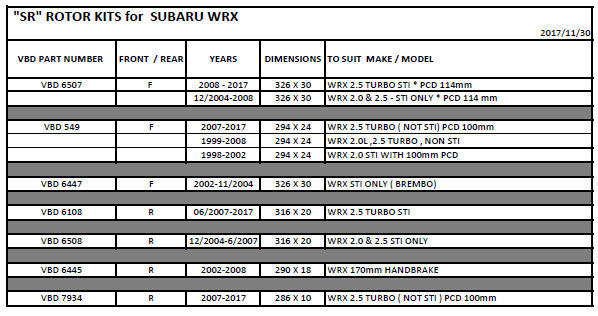 To ensure You get the Pad Profile that actually fits your factory Caliper, Please choose the correct Year /Model /Spec designation for your actual vehicle from the drop down list . 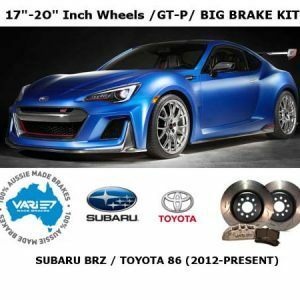 NOTE: Should You require both front and back Rotor Packages you should first choose the FRONT Rotor kit ( with or without the Pad Package) and add it to your cart and then return to the page to choose the REAR Rotor kit ( again with or without the Pad Package) and add it to you cart separately. Great ” Bite” from cold. Low rotor wear and very Low Dust. Excellent “Track Day” Pad with Street friendly nature. Medium to low rotor wear and Medium Dust. * as indicated by the applications spec info drop down tab. ** corrosion resistance black coating is removed by our heat treatment option , though Partial resistance to corrosion is replaced to some extent by the oxidation coat produced by our post heat treatment cool down procedures. *** The benefits of this Heavy Duty orientated heat treatment can slightly detract from the Black Finish found on most of our SR rotor packages.